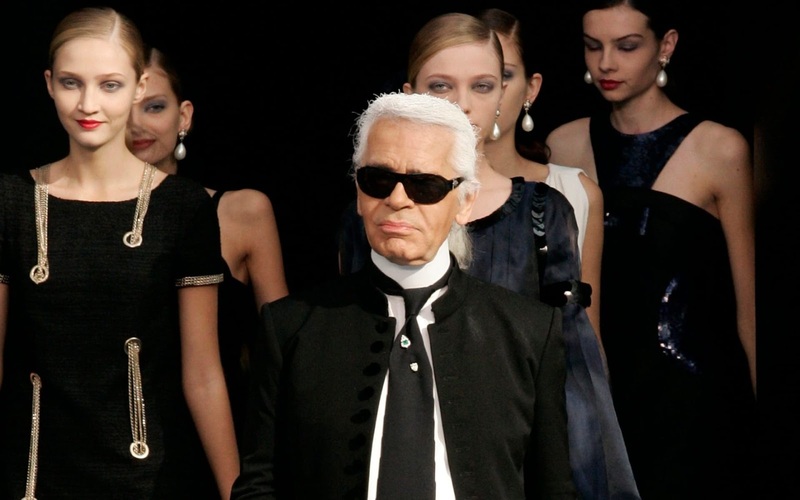 Launching late January 2017 is Chanel's latest makeup collection, the Energies et Puretes de Chanel Spring 2017 Makeup Collection. Inspired by KPOP, the collection offers a variety of hues, subtle tones filled with bright pops of colour to give you a pretty and bright look for the summer. 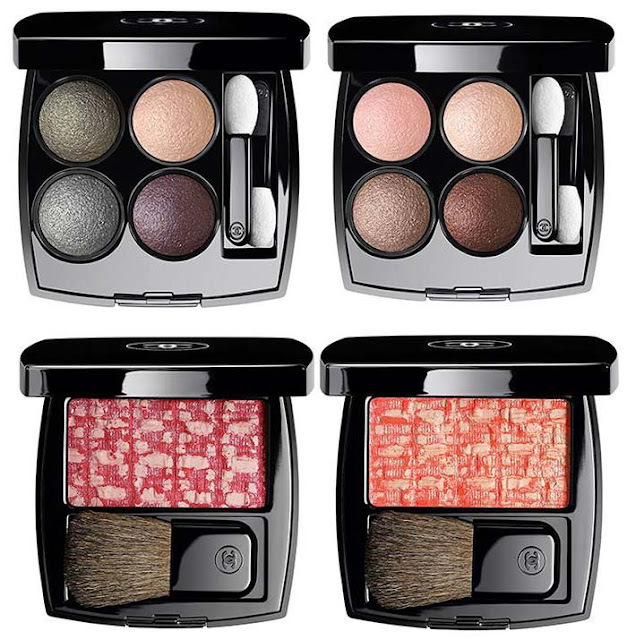 The first offering from the collection are the Chanel Les 4 Ombres Eyeshadow Palettes, two quads with four shadows each designed to compliment each other. The intense and long lasting shades are smooth on application and include tones of grey, pink, brown, copper and peach. Chanel also brings two blushes to offer a youthful shimmering and glowing look, and to add just the right amount of colour to your cheeks. The formula is sheer on application, and the blushes in cherry red and coral each feature a mottled design that can be blended to achieve the perfect colour. 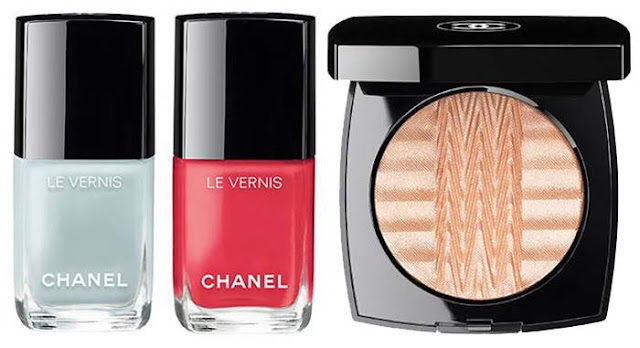 Chanel's most popular nail colour in two shades, a bright coral and a soft blue, are also a part of the collection, and make a wonderful addition as the formula offers a chip-free finish, and the colours won't fade either, giving a longer lasting application. Since highlighters are all the rage these days, no makeup collection is complete without one. Chanel's latest collection also offers a solid gold reflective powder in a chic and sleek compact, which opens up to reveal a gorgeous champagne colour that will certainly catch light from all angles. 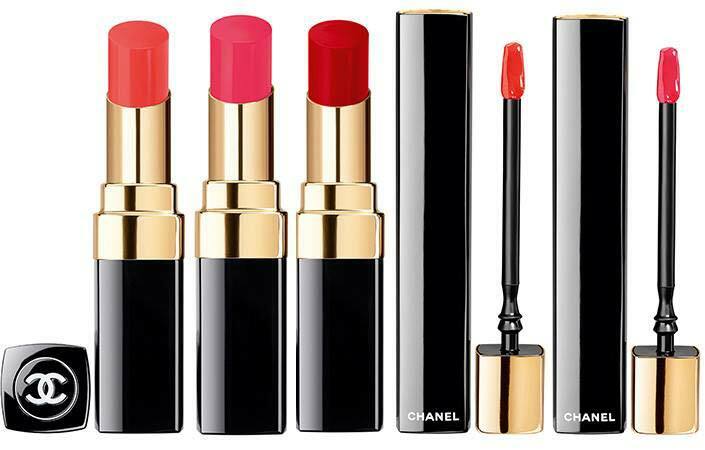 The soft and hydrating Chanel Rouge Coco Shine is offered in three colours, sparkling coral, radiant pink coral, and an intense red. The sheer lipsticks give a long lasting fuller lip appearance, and offer a smooth coverage with a simple swipe. 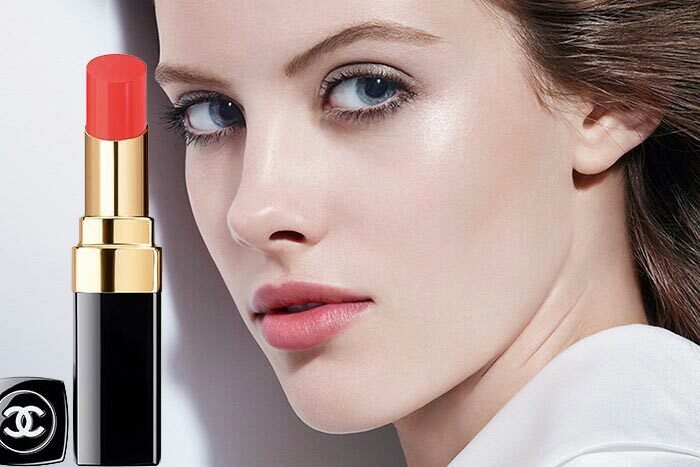 Along with the Chanel Rouge Coco Shine lipsticks, the collection also offers the Chanel Rouge Allure Gloss in a raspberry and coral colour, and can be worn over the sheer lipsticks to increase their intensity.